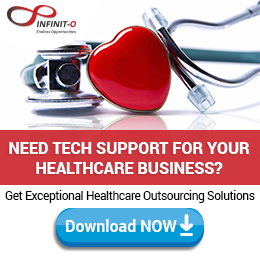 The global healthcare IT outsourcing market is growing continuously. According to an article by Nearshore Americas, a recent study made by the Everest group states that the global healthcare IT outsourcing market is increasing at a compound annual growth rate of 12%. 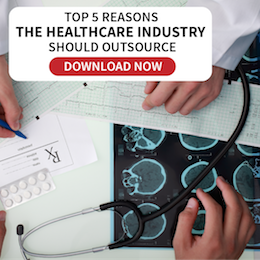 This gives us an insight on how much demand healthcare institutions now place on IT outsourcing services. The regulatory laws governing the healthcare industry are changing and this has led healthcare providers to make modifications on how they operate. This includes how they make use of technology. The challenges they have to contend with have made certain support functions more expensive for them. This presents another dilemma because of the demand for more improved healthcare services at lower costs. Outsourcing some of their medical processes instead will not only be less expensive for healthcare providers but will also allow them to focus on their main function, which is to care for their patients. The industry now demands healthcare institutions to be more IT-heavy. This proves to be very difficult for medical organizations with limited resources and tight budgets especially for those already facing several challenges addressing the high demands of the industry. Hardware and software innovations are continuously being introduced in the market and healthcare institutions might find it difficult to keep up. In addition, the problem on the shortage of IT talents is also a major concern. Outsourcing is capable of addressing these issues. With outsourcing, healthcare providers no longer have to deal with hiring, training and maintaining IT personnel nor would they need to worry about investing on new electronic systems every so often. Consumerism is now a growing trend that healthcare providers need to address. Patients nowadays have become more demanding and expect to take a more active role in their healthcare experience. Because they have grown accustomed to using mobile technology in their daily lives, patients now expect to do the same when it comes to accessing and managing information pertaining to their health. It is because of this trend that healthcare providers must now rethink how they approach marketing and customer service. In order for them to allow their patients to have more control and responsibility for their heath, they need to embrace digital solutions for real-time consumerization, which can include analytics, cloud, big data and even social media. Using technology that will provide a personalized healthcare experience will not only help medical organizations build loyalty and customer satisfaction but also increase revenues and profitability as well. These changes and trends will continue to drive the healthcare industry to embrace the use of more business intelligence tools in order to provide a better standard of care. 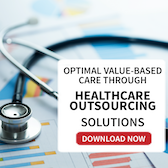 To succeed in doing this, it does make much sense for medical organizations to outsource at least some of their IT functions so that they can focus on their core competencies. In any business type, challenges are inevitable and so are the different medical institutions. As we are aware of the pressure put on your companies, considering the inability to match the supply and demand for services—outsourcing all your needed facilities might just be the perfect solution. With our offered services, catered to different medical institutions, rest assured we can determine the most apt for your needs. Learn more!